The Construction Forum For everything tall going up in London right now. Bishopsgate Tower - "The Pinnacle"
the City's current tallest building, Tower 42.
sleek and elegantly proportioned, and is intended to complement the neighbouring proposals such as the Leadenhall Building. and given final approval in April 2006. In November 2006, the developers secured funding for the project from Arab Investments. The full planning report for the tower can be accessed by clicking here. enabling works. A new excavation, 5.5 metres below the present basement floor, is to take place in January in preparation for the core in late 2010.
and the four restaurant floors at the top. Topping-out is scheduled for late 2012, and the building is due to open in 2013. Last edited by wjfox; November 25th, 2009 at 08:57 PM. I sometimes imagine what it would be like if people from previous centuries could see London as it is today. What would their reactions be to skyscrapers, etc.? Then I think about the 22nd/23rd centuries and how London will look then. What sort of amazing buildings/structures and landmarks will there be, and just how "different" will the city be? Will, who hinted they might build it spec? The developer, DIFA, must first find a co-investor, which it has so far failed to secure. Meanwhile, and as far as I understand, a substantial pre-let will be required to secure bank loans. This prelet will be difficult to achieve with the massive speculative schemes in the pipeline of British Land and Securities, Heron, etc. Site clearance might well begin in the near future but I reckon we will have to wait for another couple of years to see actual construction starting, if ever. A strange question I know but can anybody tell me what the state of play will be in 2008 and 2009 in London respectively, regarding transport/infrastructure and skyscrapers ? best guesstimate that is...I know its been said before. Rubbish, i'm sure even with the most catastrophic collection of events a least a few humans will survive in some capacity. Who knows maybe even you or i, no one can say what the future holds, except there will be some great scrapers! Boy, would it! It also seems very plausible, and by 2010 we could have some great results after tests on mice. I really want to know what happens to the human race, because I think the next few hundred years will really decide how good a race we are. I believe there is definately a good chance some of us younger ones around here will live to see the 22nd century, and hopefully we will be able to go even further. Imagine how many advancements will be made in the next 50 years! And Imagine how London will look in Just a few decades. I can see there being a 400m+ built or atleast proposed by 2020. Anyway, back to Bishopsgate. This kind of talk isn't really for this thread. No, I doubt that they will spec build this one. I read in Estates Gazette that they would want a major prelet from a bank to build it. That leaves JP Morgan and Deutsche Bank.... but there are an awful lot of towers and groundscrapers to choose from... a glut if you ask me. I think this may well be a tower too far for the City of London at this time. Still it is very likely that 122 Leadenhall and Heron will be starting in the next 2 years.... they will both dramatically change the City skyline. The metamorphosis of the City skyline won't really get going until early next decade in my opinion. Does anyone know if this will have a steel or concrete core? I can't personally imagine it being concrete, but as usual, don't mind being corrected. But I expect a 2010 - 2011 construction for this beauty. Chief Wiggum: Okay folks, show's over. Nothing to see here, show's... Oh my gosh! A horrible plane crash! Hey everybody, get a load of this flaming wreckage! Come on, crowd around, crowd around! For **** sake nothing is more annoying than seeing an updated thread expecting to view some updated news on the thread only to see a reply completely off topic. I know I'm almost contradicting myself by posting this reply but I had to say something. For **** sake nothing is more annoying than seeing an updated thread expecting to view some updated news on the thread only to see a reply completely off topic. 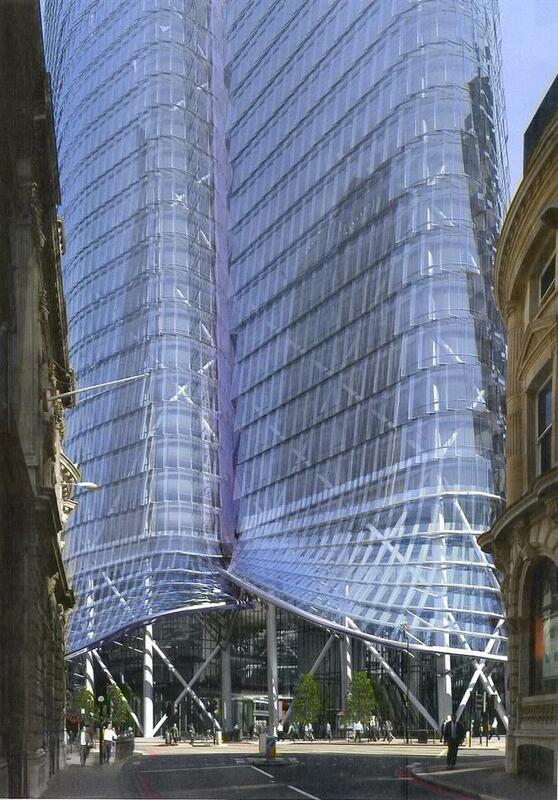 Anyway, Bishopsgate Tower. I would like to hear people's opinions on when they would predict a prelet and even by whome! Part of me feels it could be very soon, part of me feels it will be a long way off. It surprises me at how what seems a couple of skyscrapers starting in the next few years and a smattering of groundscrapers suddenly constitutes a glut of office space, and how it seems there is only a handful of companies in the City large enough to sign up to schemes. I guess this 'floodgates opening' idea we were promised a few years back never really had a stretch of water behind to fill the lock, so to speak. this tower will NOT be built speculatively. 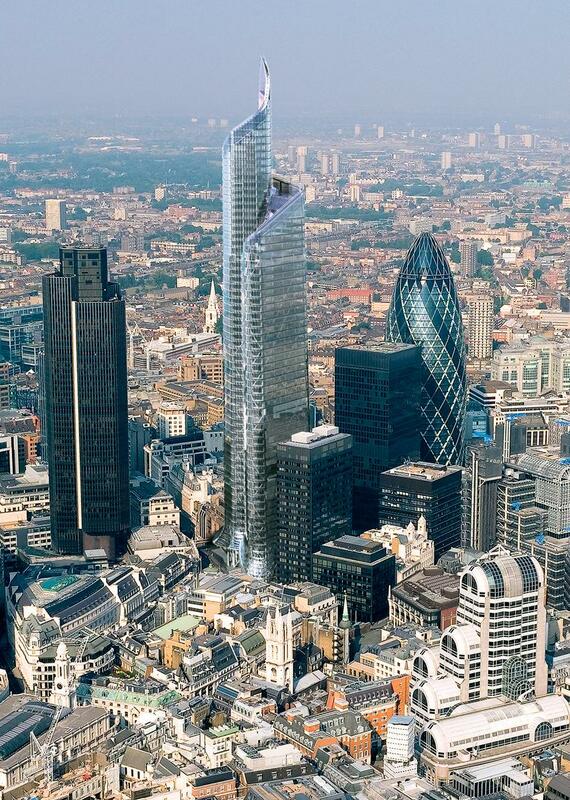 Getting back to what the threads actually about --The Bishopsgate tower & when it will be built. Out of the current spate of towers in the city this is one of the hardest to predict. We knoe HERON finally stirring & that BL will build 122LH at some point. IF 20fc gett pp Land secs will also build it at some point. With this tower it has been pointed out byDIFA that theyrequire a pre-let. What they are actively doing about getting one we dont know, Being German based we dont no enough about them unlike Land Secs, BL & Hammerson etc. What we do know is that they have been working on a city tower for around 5 years & have even goen to the toruble of shifting the site further north to avoid sitelines. Also they have put up with a height decrease so a lot of time & money has been invested in the project for it not to happen. As we also know trhe construction activity in the city has really entered an upswing ( as with most proerty cycles we are now on the steep curve upwards). Due to so many schemes now starting there is a danger that when most of the schemes enter the market by 2009 ther may be an over supply in office space & if the economy is not booming or firms are not expanding it wil result in a downturn in the property market which will put projects on hold untill the next upswing. DIFA have it in there interests to get moving on this project in this upswing after waiting so long otherwise they might have to wait awhile. However if they can get a pre-let it wouldn't matter as they would have tennants to fill the building. BL & Land Secs are quite savy at getting pre-lets for there buildings . The question is can DIFA. As Dom mentioned theres many groundscrapers in the pipeline with more o nthe horizon with L&G and Beetham hoping ot start big schemes next year so timing is quite crucial to get this tower built.